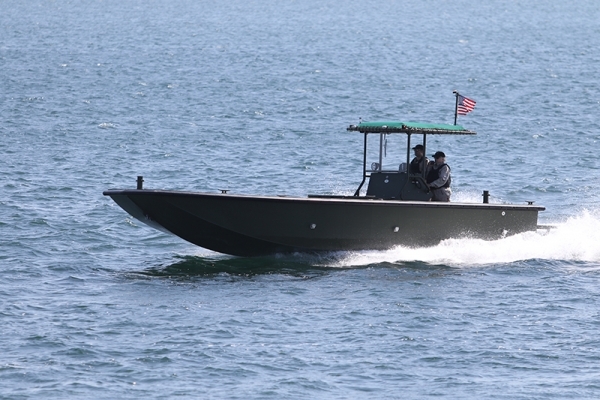 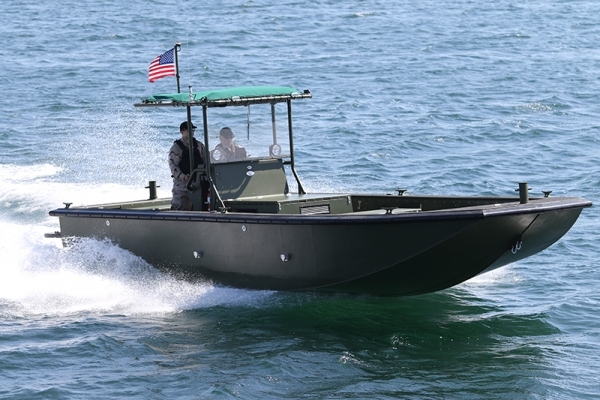 Willard's trailerable 30-foot Riverine is designed to perform military search, rescue and recovery operations in shallow, debris-filled waters and flood environments. The boat layout enables troubleshooting all major equipment, and the gunwale height above the cockpit is ideal for a safe working area. The bow is designed with a wide boarding area and steps to enable easy access to shore when real landing facilities are not available. And the conveniently folding T-top's aluminum surface provides shade, dependable durability and minimal maintenance. 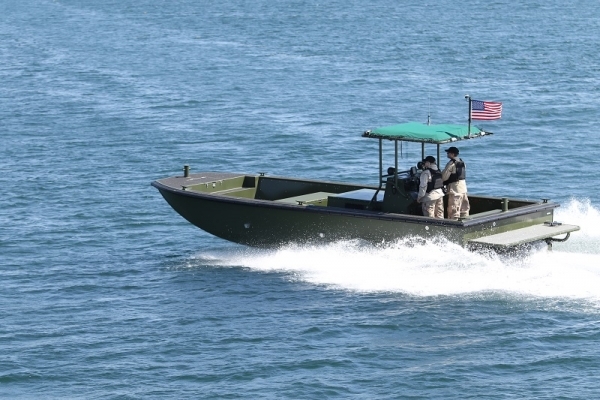 Riverines can be equipped for command and control operations, fire-fighting and mounted weapons. 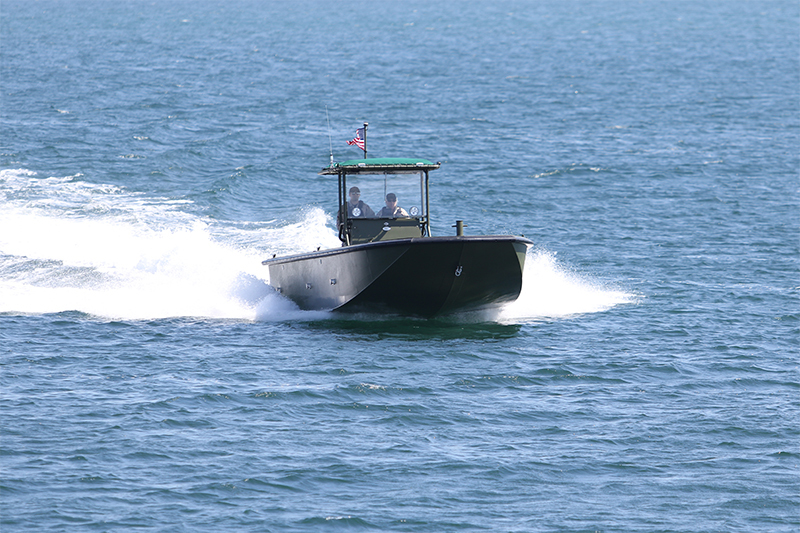 Please contact us for more information about our 30' Riverine Cabin Boat and other Willard Marine vessels.